I wanted to do some more work with the clinker effect. Also I have started cleaning up a solid piece of wood which I might use. I guess these two ideas have come together to form the sketch above. Looks a bit like a woodlouse I think! 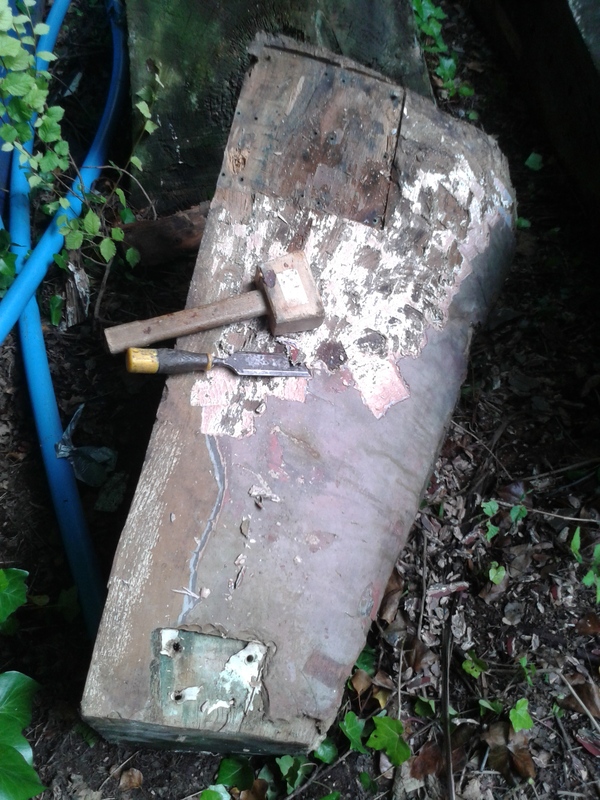 Here’s the piece of wood which is a part of an old keel acquired by the museum in its early days. This is the maquette I have started to make one fifth size in balsa wood in order to explore the idea further. 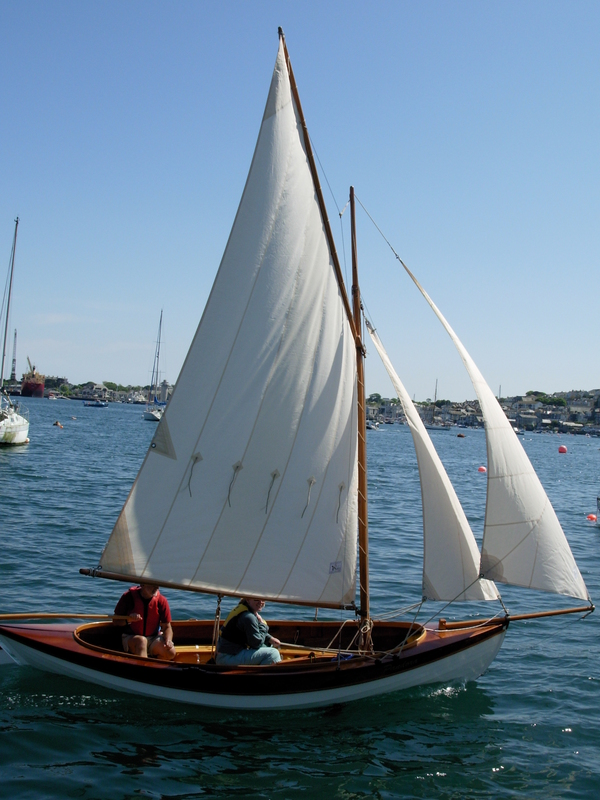 As for the clinker style of making wooden boats ….. its about overlapping planks and nailing these together to form a watertight shell. 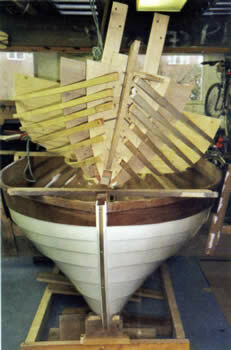 This works because wood expands when it gets wet allowing the planks of a clinker boat to seal themselves together. My interest as an artist is in the pattern these overlapping lines make on a boat. This is a boat I made a few years ago called Pandora. You can see the clinker construction although it’s not traditional. I made her with modern 6 mm marine plywood and epoxy resin so there was no need for the planks to take up water and of course she was a lot lighter as a result. The strange thing being lifted out of the boat is a set of shaped moulds together with battens which made the shape of the boat. 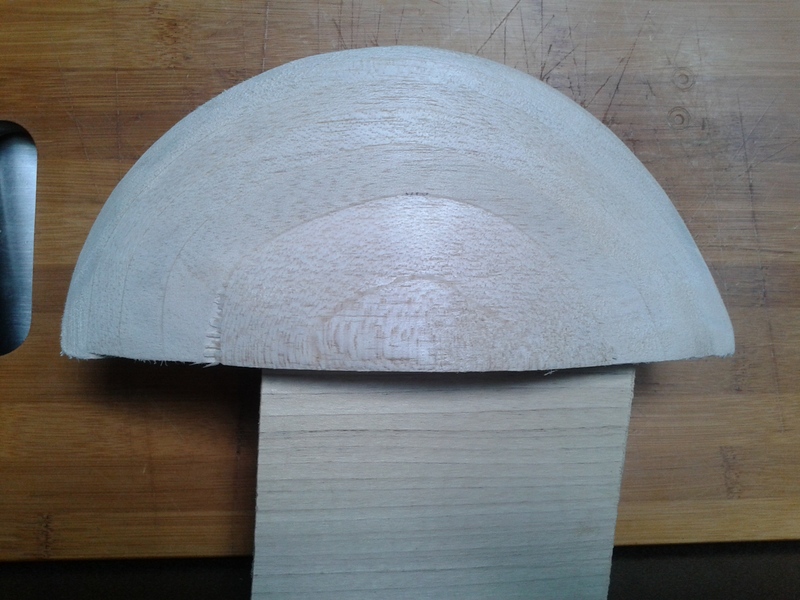 I just needed to wrap the ply planks around this initial shape. See the Selway Fisher catalogue for more details – they have stolen my photographs! Just to add to your inspiration – whilst on holiday in CaNâPickafort Majorca – I took some pics of an odd piece of art on the sea front. Made from steel box tubing – the side view could be a dinosaur skeleton but the others could be the upturned haul of a boat – the location was next to a marina and kids play area. Not sure if it was the drink or my imagination but it took on a different form as I walked round it. Also saw your latest blog – sort of similar really although it could be a squashed parachute ! !